After filing of another lawsuit against Baylor and the university’s disclosure of text messages between coaching staff, the Big 12 reached a “tipping point,” a conference official said. 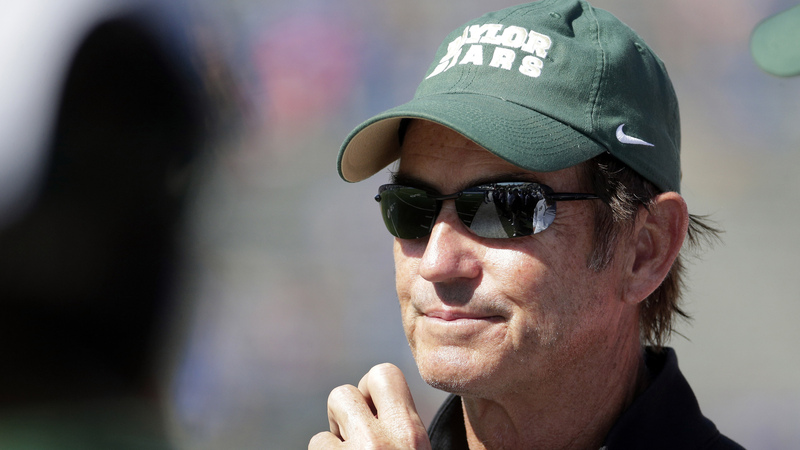 In this Oct. 10, 2015, photo, Baylor head coach Art Briles watches during the second half of an NCAA college football game against Kansas in Lawrence, Kan. The Big 12 Conference decided Wednesday to impose a multi-million dollar sanction on Baylor University after another recent round of stinging revelations about the extent and nature of the university’s problems with alleged sexual assaults by former members of its football team. 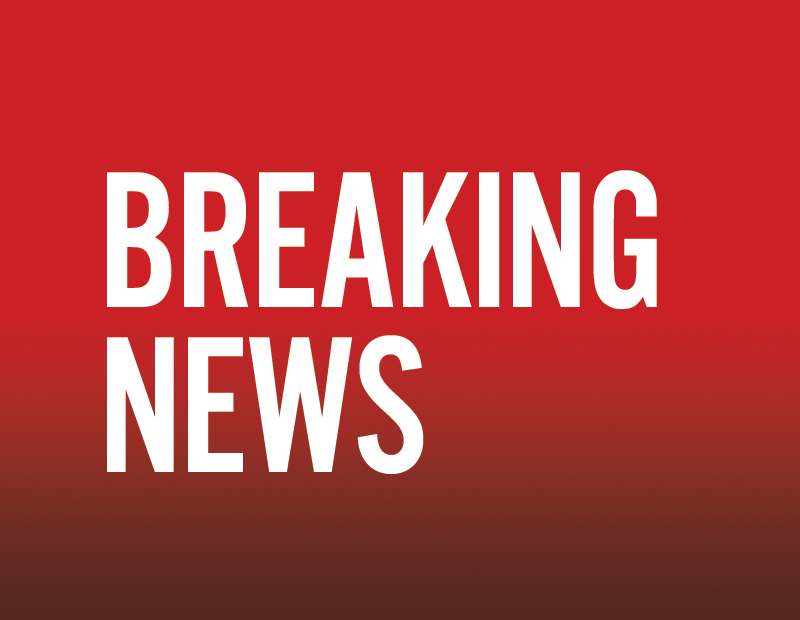 The conference’s board of directors voted to withhold a quarter of Baylor’s future revenue “pending the outcome of third-party verification review of required changes to Baylor’s athletics procedures and to institutional governance of its intercollegiate athletics programs, among other matters,” according to a post on the conference’s website. In response, Baylor’s interim president pledged the university’s “full cooperation” with the Big 12’s requirement of an independent review as the school implements “enhanced practices” to deal with allegations of sexual violence. The withholding — which amounts to an estimated $7.5 million reduction in annual distributions to Baylor if the sanction remains in effect — is the closest thing to a punishment imposed by either the Big 12 or the NCAA, after allegations that began roughly 5 years ago of sexual assaults committed by football players during the tenure of former head coach Art Briles and efforts by the university to sweep those alleged assaults and other misconduct under the rug. First reports last year about the university’s efforts to cover up allegations against the football team included five Baylor football players and 8 occurrences of sexual assault. Then came a Wall St. Journal article in late October that detailed 17 women reporting sexual or domestic assault involving 19 football players, including four instances of alleged gang rapes. Baylor football player Tevin Elliott was charged, convicted and sentenced to 20 years in prison in January 2014 after four women testified he sexually assaulted them. Another former player, defensive end Sam Ukwuachu, was convicted in August 2015 of sexually assaulting a member of the women’s soccer team. Yet another All-American member of the Bears’ program, Shawn Oakman, was indicted in July of last year for allegedly sexually assaulting a Baylor graduate student at her apartment. His trial has been set for April. And that’s just the football team. Baylor’s former Title IX coordinator Patty Crawford, who was in charge of investigating all reports of sexual violence at the university, cited 125 reports of sexual assault and harassment from 2011-2015. 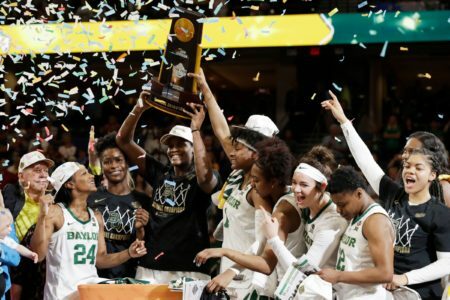 Crawford, who came from Indiana University and had no previous connection to Baylor, described a culture of indifference at the Waco, Texas, school when it came to reports of sexual violence by its coeds. Crawford resigned last fall, accusing the university of interfering with her ability to do her job. And then the allegations grew even worse in the past two weeks. *In October 2013, Shillinglaw and Briles discussed their efforts to intervene on behalf of a player who was suspended for repeated drug violations. “Bottomline, he has to meet with (Vice President for Student Life Kevin) Jackson tomorrow morning. If Jackson does not reinstate President will,” Shillinglaw wrote. The impending release of the messages seemed to have the desired effect — at least when it came to Briles who dropped his contentious suit against the university just 24 hours before the disclosure of the messages in the school’s court filing responding to Shillinglaw’s ongoing case. These texts messages were also among the things that led the Big 12 to act. “New information became known that reached a tipping point,” Big 12 commissioner Bob Bowlsby told CBS Sports Wednesday.